Here we take a closer look at the Nike Air Max 97 Nowstalgia GS Navy. 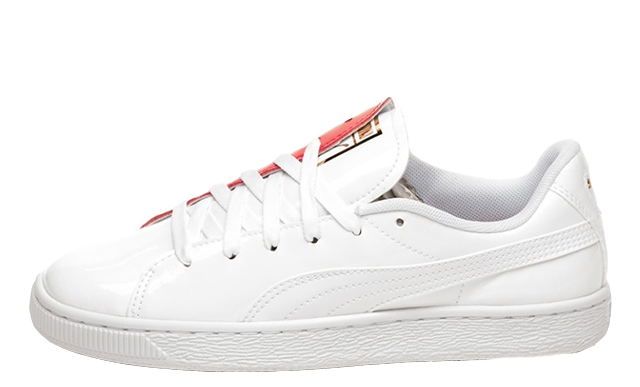 Boasting bright, bold colours, these are a surefire way to update your rotation this year. 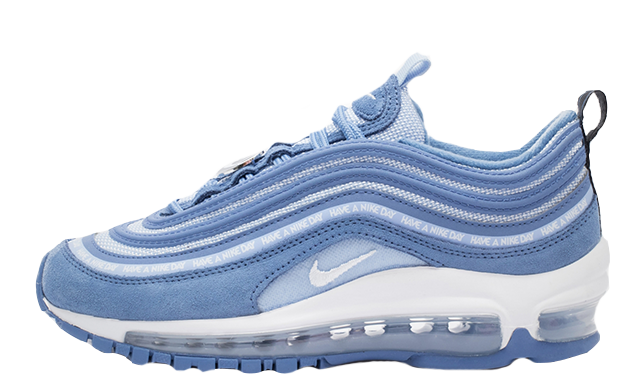 The AM-97 is a coveted, well loved silhouette and it’s definitely giving us nostalgic retro vibes. The yellow and the navy blue bring a great contrast that’ll spice up any outfit, and turn some heads along the way. 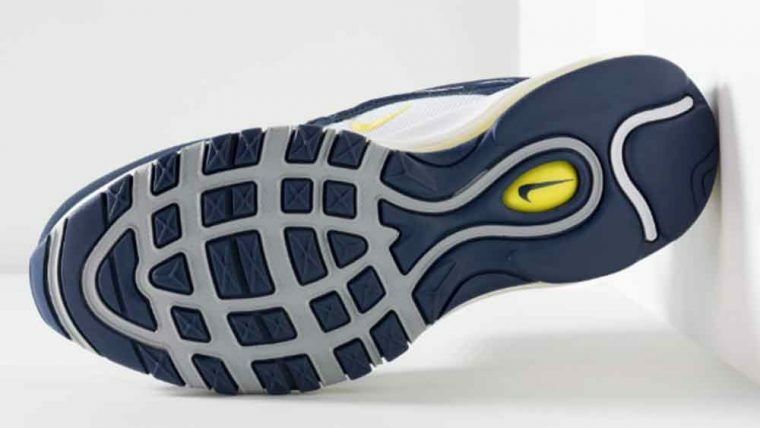 The official grey/yellow colourway gives us two-tone goodness – so you could opt to style with navy or yellow – or both! 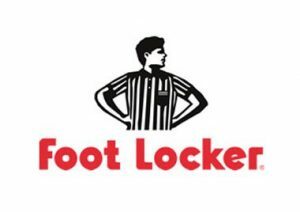 The upper is made from layers of faux leather and mesh textile in a deep blue and white. The mini Swoosh appears in pale yellow midfoot at the sidewall as well as inside a navy blue badge at the top of the tongue. 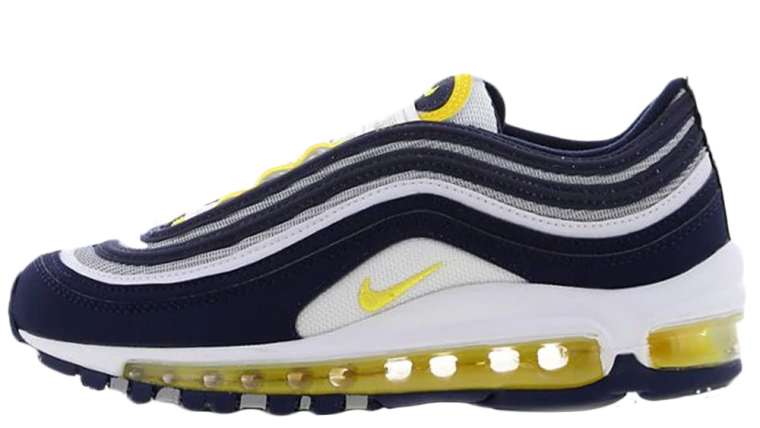 Underfoot, the iconic full length 97 Air Max sole unit keeps your feet feeling supported all day, and also shows a flash of bright yellow in its transparent construction. 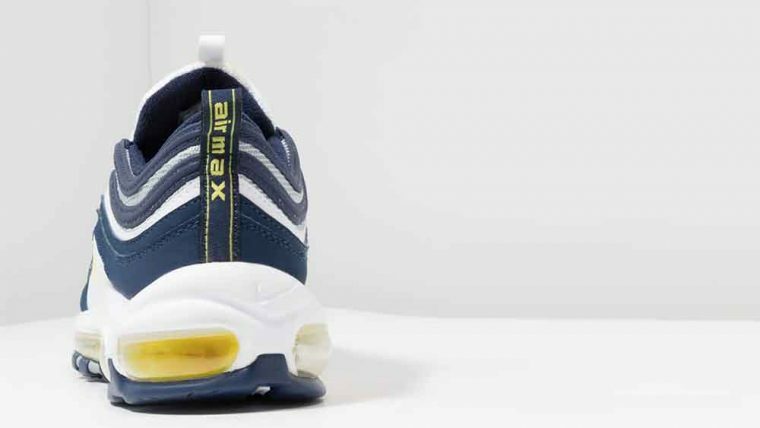 We’re loving the 90s vibes these are giving off – and if your feet are on the smaller side, these grade school sneakers are for you as they come in a UK 3.5 to a 6. 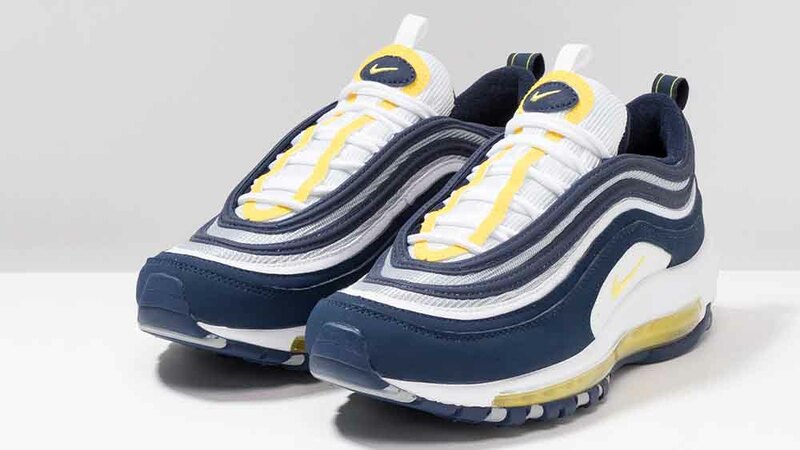 Check the stockists linked on this page if you’re loving the Nike Air Max 97 Nowstalgia GS Navy and want to get your hands on them! 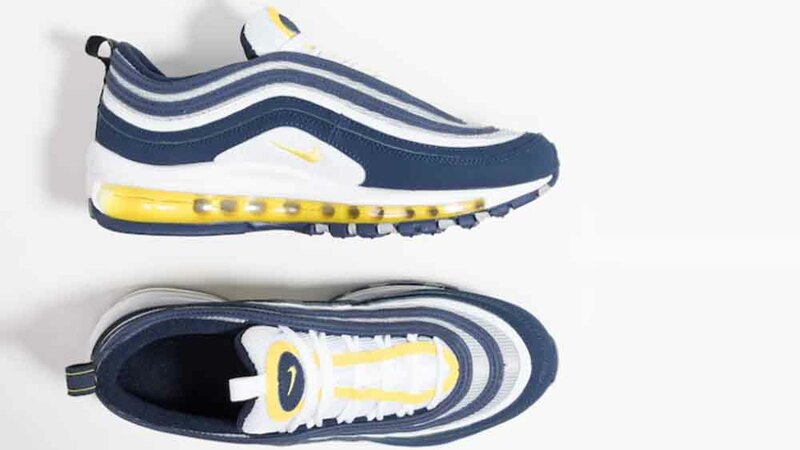 You can find more Women's Nike Air Max 97 Trainers Release Dates here!